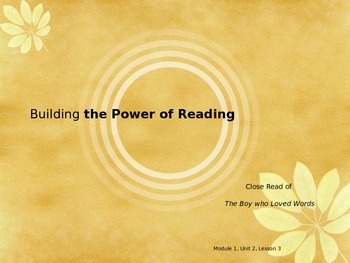 Power Point for Expeditionary Learning Module 1 Unit 2 Lesson 3. 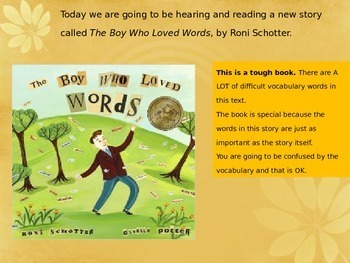 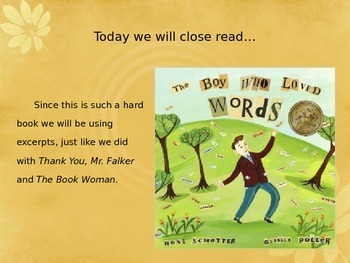 Students will read and analyze the text The Boy Who Loved Words. 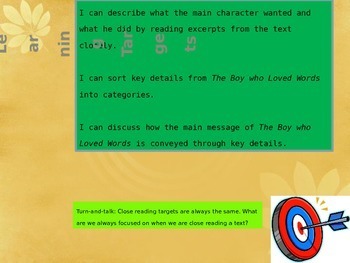 Students will be close reading the text for two days (see Lesson 4 on my main store page).